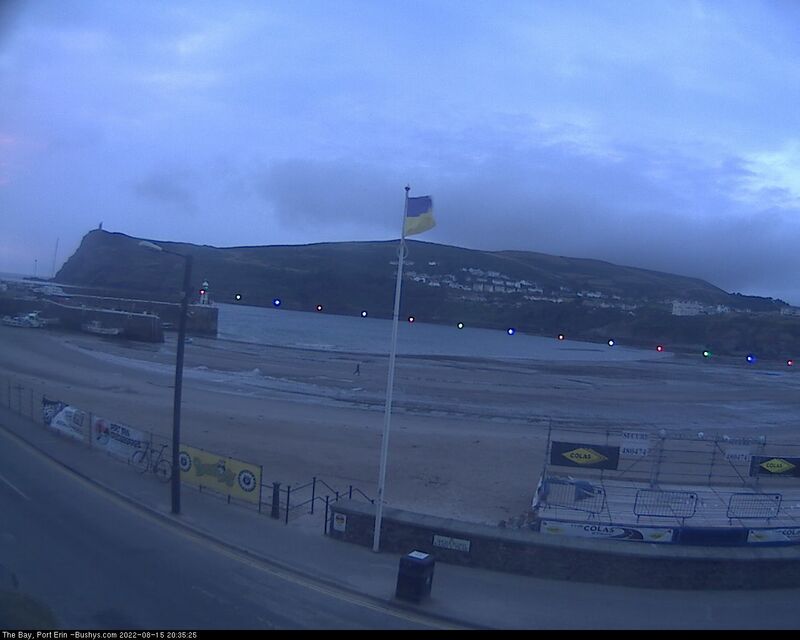 Located at the Bushys pub The Bay in Port Erin this webcam gives a great view of Port Erin beach. Port Erin is a great place to spend the afternoon on a nice sunny day and the beach does get very busy. A wonderful reminder of the wonderful1 14 years we, as a family, spent holidaying in Port Erin.from 1955. Thank youfoor bringing backthe memories and what a great way to do it. Please try and get that webcam up and running again! I have emailed and phoned but no response so far…..I hope to be sitting on my favourite stool in the pub next year but in the meantime it would be nice to see the scenery through the winter! I spent most of October this year  in Porterin, and the web cam failed much to my friends dissappointment, here in Oz. I hear that either Bushy’s or “On the Isle of Man” which is the server for the Webcam has gone broke so that explains everything! Come on now, this isn’t Manx Forums!!! Buhy’s are doing fine and “On The Isle of Man” neither hosts this webcam (we always link back to the original webcam for live updates) nor has it gone bust. This is a hobby site so that would take some doing! I’ve been sick so there’s been a distinct lack of updates recently but that’s it. Webcams do go up and down as people forget about them for a while and then suddenly remember. It could be that somebody just needs to turn it off and on again. I’ll see what I can do. Thanks for getting the camera up and running again! Much appreciated! Darn it! The webcam has quit again…….Can you please fix it? Oh Oh!We are down again!